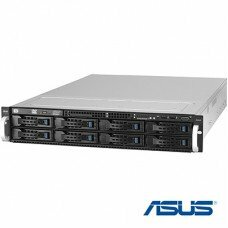 Processor : E3-1220v6 3.0GHz Turbo 3.5Ghz 8MB CacheMemory : 8 GB DDR4 ECCHDD : 1 TB SATAPower Supply.. Processor : E3-1240v6 3.7GHz Turbo 4.1Ghz 8MB CacheMemory : 8 GB DDR4 ECCHDD : 1 TB SATAPower Supply.. 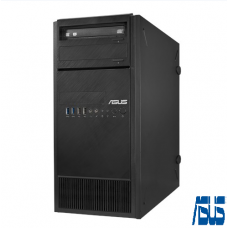 Processor : E3-1230v6 3.5GHz Turbo 3.9Ghz 8MB CacheMemory : 8 GB DDR4 ECCHard Drive : 480 .. 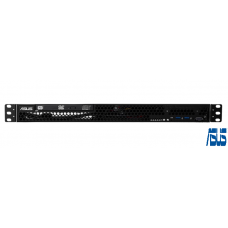 Processor : E3-1230v6 3.5GHz Turbo 3.9Ghz 8MB CacheMemory : 8 GB DDR4 ECCHard Drive : 1 TB..
Asus Server RS500-E8/PS4 ( 1412414A1AZ0Z0000A0Z )Processor : 1x 8Cores Intel Xeon E5-2600v4 with 16D..
Asus Server RS500-E8/PS4 ( 1412414ACAZ0Z0000A0Z )Processor : 1x 8Cores E5-2609v4 Intel Xeon E5-2600v..
Asus Server RS500-E8/PS4 ( 1413414A1AZ0Z0000A0Z )Processor : 1x 8 Cores E5-2620v4 Intel Xeon E5..
Asus Server RS500-E8/PS4 ( 1413414ACAZ0Z0000A0F )Processor : 1x 8Cores Intel Xeon E5-2600v4 with 16D.. Processor : Intel Xeon E5-2600v4 with 16DIMM SlotsMemory : 8GB DDR4 RegisteredHard Drive : 480 GB SA.. Processor : Intel Xeon E5-2600v4 with 16DIMM SlotsMemory : 8GB DDR4 RegisteredHard Drive : 1 TB SATA.. Processor : 1x 10Cores Intel Xeon E5-2600v4 with 16DIMM SlotsMemory : 8GB DDR4 RegisteredHard Drive .. Processor : 1x8 Cores Intel Xeon E5-2600v4 with 16DIMM SlotsMemory : 8GB DDR4 RegisteredHard Drive :.. Processor : 1x 10 Cores Intel Xeon E5-2600v4 with 16DIMM SlotsMemory : 8GB DDR4 RegisteredHard ..